Zimbabwe is back on the tourist’s map. After many hard years of economic and political problems, Zimbabwe is again able to welcome safari and nature lovers. It was in 1855 that explorer and research David Livingstone first reached the Victoria Falls. Today it is Zimbabwe’s most visited tourist attraction and a safari to Zimbabwe, Zambia or Botswana is not complete without seeing this spectacle. During the rainy months of March to May the “smoke that thunders” is visible for kilometres and is the rushing mass of water an breath-taking sight. 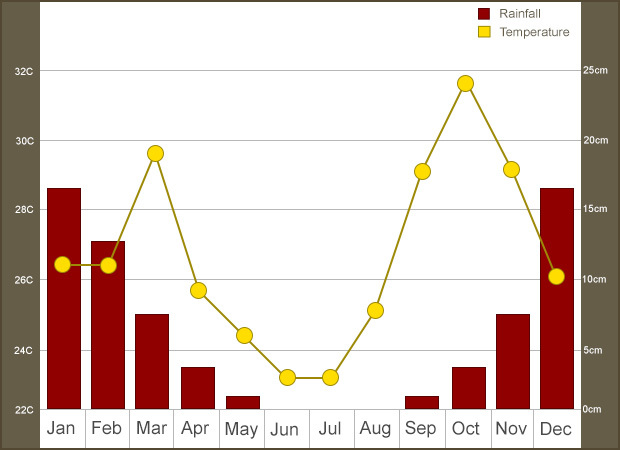 In the drier months of November to January the falls are more impressive from the Zimbabwean side. The Hwange National Park is a prime example of how well a nature reserve can function. When it was established in 1928, many animals living here were close to extinction due to hunting and drought. Almost 90 years later and the elephant population has increased from 1 000 to 20 000 animals. Animals living here now include antelopes such as impala, duiker, kudu, oryx and sable antelope. Predators such as lion, leopards and cheetahs and buffalo and rhino will be spotted on a safari in Hwange National Park. These mysterious structures are where the predecessors of the current Shona tribe lived. From the eleventh to the 15th century they build and lived in stone buildings. It is extraordinary how these massive constructions were built without the use of cement. Today large portions of these settlements are still intact and can be visited. The Matobo National Park (previously Matopos National Park) south of Bulawayo is named after the round granite rocks and hills resembling bold heads… This reserve is famous for white and black rhino. Other animals in this park include the big predator cats, giraffes, zebras and antelopes. Visit the caves with San rock paintings and the museum nearby. Mana Pools National Park in Zimbabwe with its riverfront vegetation and boababs complements the Lower Zambezi National Park in Zambia. During the rainy season the dry floodplains transforms into oceans of water that dry again in the dry months. Join a boat or canoe safari to watch animals play and drink at the water. Expect to see elephant, buffalo, crocodiles and hippos. On a game drive you would be able to spot lion, leopards and cheetahs. The biggest attraction to Zimbabwe, the Victoria Falls, can be visited any time of the year, but during the rains from November to March the swollen Zambezi rushes spectacularly over the falls. The drier months are more suitable for game viewing when animals visit rivers and waterholes and spotting them is easier. Owing to its position next to Botswana and Zambia, a safari to Zimbabwe could be combined to the national parks in the north of Botswana or a trip to the Lower Zambezi National Park in Zambia.